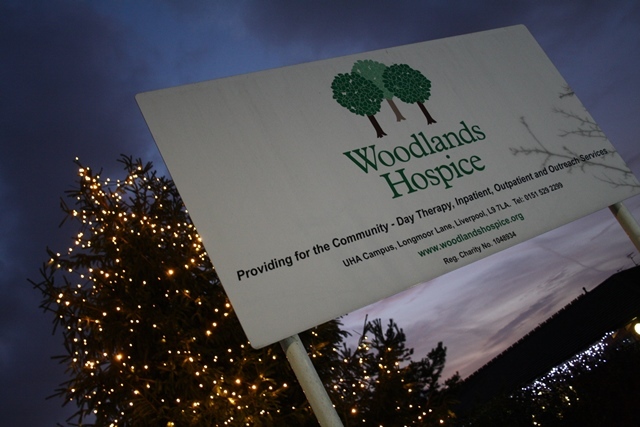 We were overwhelmed by the number of friends and supporters of Woodlands who took part in our Light up a Life campaign just before Christmas. More than 1,500 lights were dedicated to loved ones and shone brightly on our two Christmas trees located at the hospice and at St. Andrew's Church. Our 'Book of Life', featuring the names of all those who were remembered at this special time, as well the names of those who dedicated them, is now available to view online here. "Light up a Life is a wonderful way for families and friends of Woodlands to celebrate a life or to simply remember loved ones at a special time of the year. The two services were also extremely uplifting and we would like to thank all those who were able to attend. It really helps to bring people in many different situations together at a difficult time." To find out more about future Light up a Life campaigns, or to set up a standing order for your dedication, please contact Carole Riley on 0151 529 4143 or email her here. N.B. : Due to the large number of dedications we received leading up to and after our Light up a Life services, we added an 'addendum' to the Book of Life. If you cannot find your dedication then please search from page 83 onwards and you should find it in the addendum.